"We are from all walks of life yet music unites us. 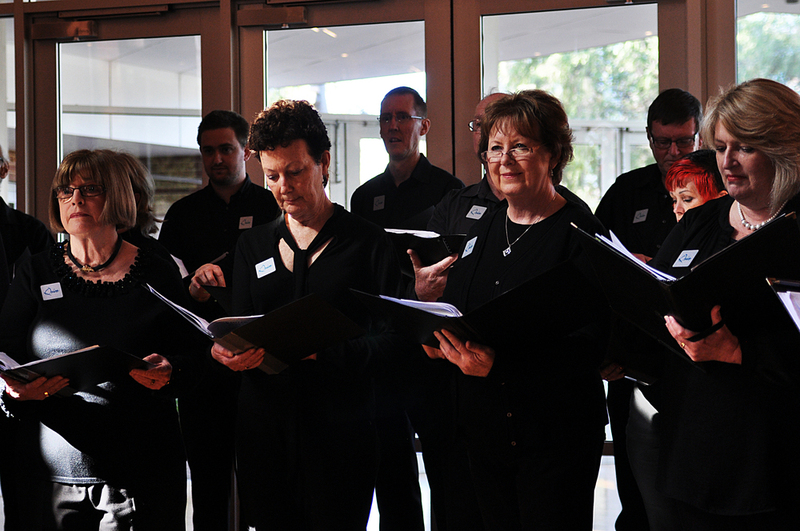 we come together to make beautiful choral music"
Quire - Vocal Addiction is a Central Perth based, West Australian choir comprising of voices of all ages, specialising in works for large chorus. This mixed SATB "Quire" rehearses from 7pm to 9pm on Wednesday nights of the school term. The Quire repertoire includes works from the renaissance to the modern day, including music theatre, pop, rock and jazz as well as works by contemporary Australian composers. Join Quire and get addicted to singing!